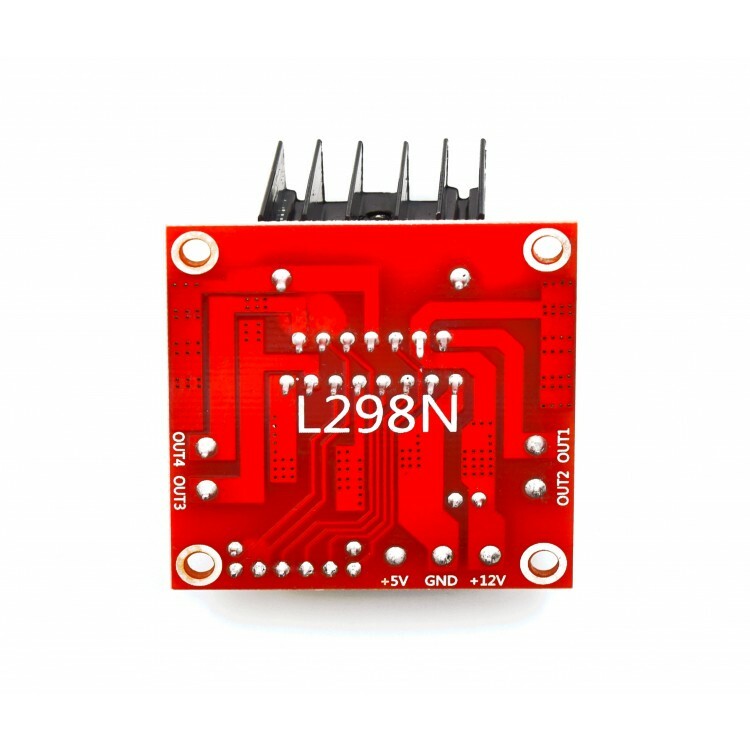 This is the popular L298N Dual H-Bridge Motor Controller, typically used to control motor speed and rotation direction. 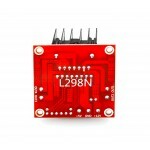 It can also be used for other products such as with LED arrays, relays, and solenoids, etc. 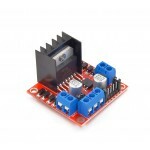 It's a powerful little motor driver with a heavy duty heat sink. 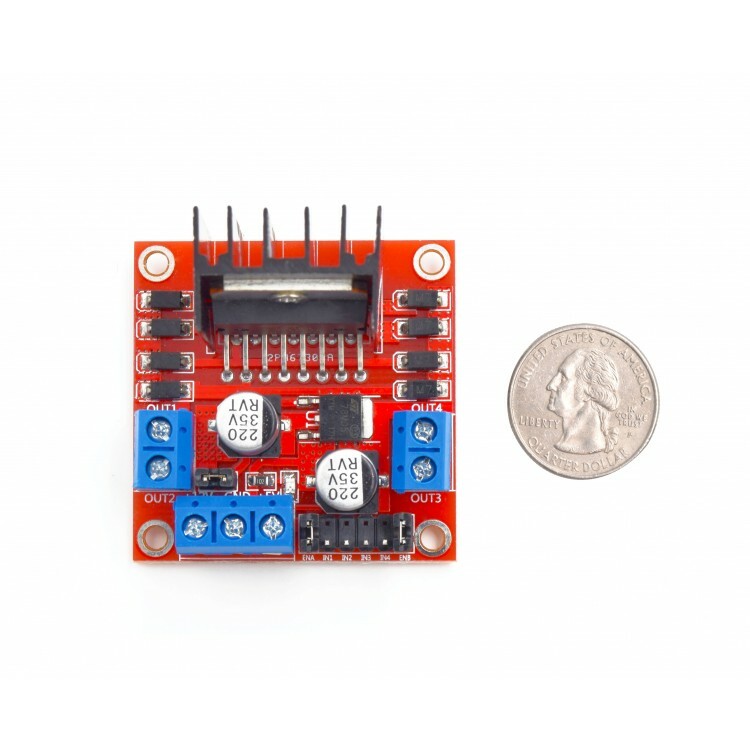 Capable of powering 5-35V motors with a max of 2A. We've used up to 4 motors using the 6 onboard screw-terminals. 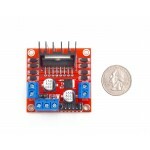 It has an onboard 5V regulator that can output up to 1A with components with 5V power requirement. Don't use the 5V regulated power when supplying more than 12V to motors. Start your engines! Well, you'll need this motor driver first. 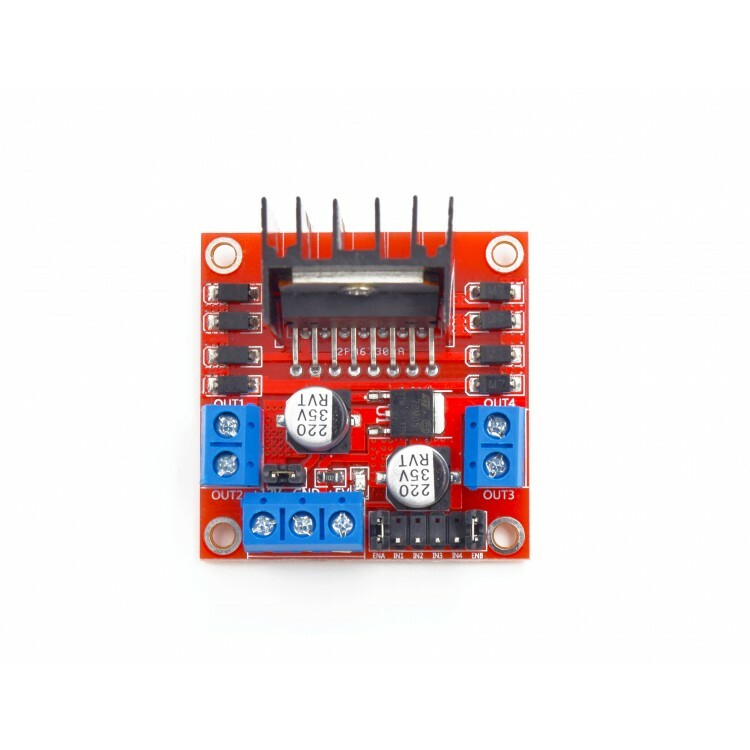 If you're creating a 2 or 4WD robot, this module will leave it and it's motors in good hands. It's not the smallest of it's kind, but it packs a punch and has an enviable heat sink. This kit includes everything you need to build the body of a 2-wheel-drive Robot. Perfect for beginners and more advanced builders alike. Have you vroomed lately?..